I just love that song! 🙂 Now that we are in the mood…let’s talk pie. Over the weekend, I came across a gorgeous squash called Buttercup. I admit, this was a new one to me. 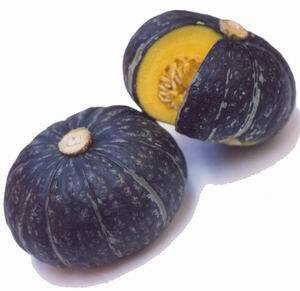 It was squatty, fat and greenish yellow, almost like a watermelon, squash hybrid. A little Oompa Loompa squash if you can picture that. I picked it up, cocked my head and gave it a curious look. How could I pass up a new ingredient called buttercup? It even sounds good. And rich. And buttery. And sweet. So as with all things new, I excitedly tossed it in the buggy, immediately beginning to think what I could do with this gem. I had planned most of my menu for the weekend, but hadn’t fully decided on a dessert. I was fairly sure I wanted to bake a pie and had a ton of extra mountain apples on hand. After doing a little research on the texture and flavor of this squash, I decided this squash was SCREAMING to be a pie! 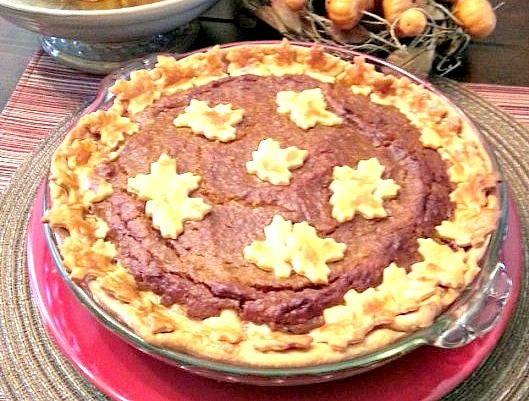 Buttercup squash pie! This buttercup will NOT let you down! Grease pie plate and fit one crust in the bottom of plate. In a mixing bowl, mix all remaining ingredients and pour into prepared pie shell. 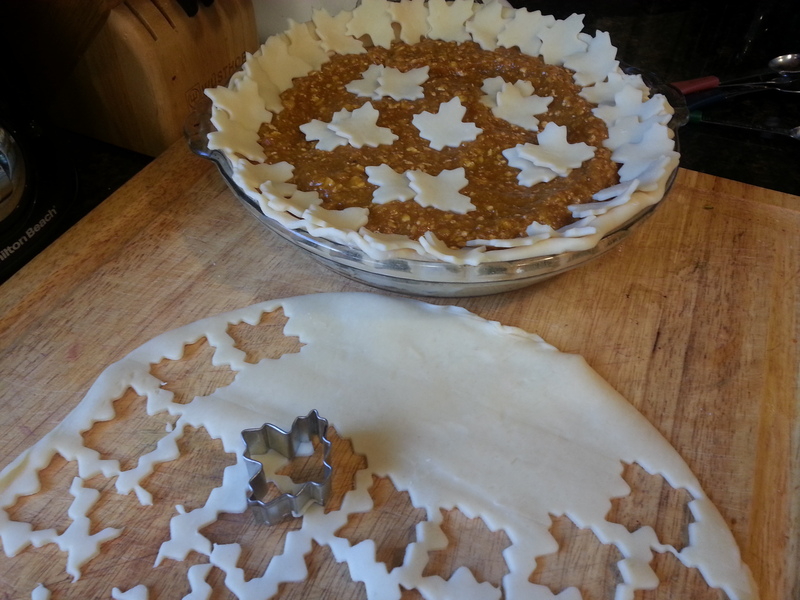 Top with embellishment crust cutouts if desired and flute or decorate edges. 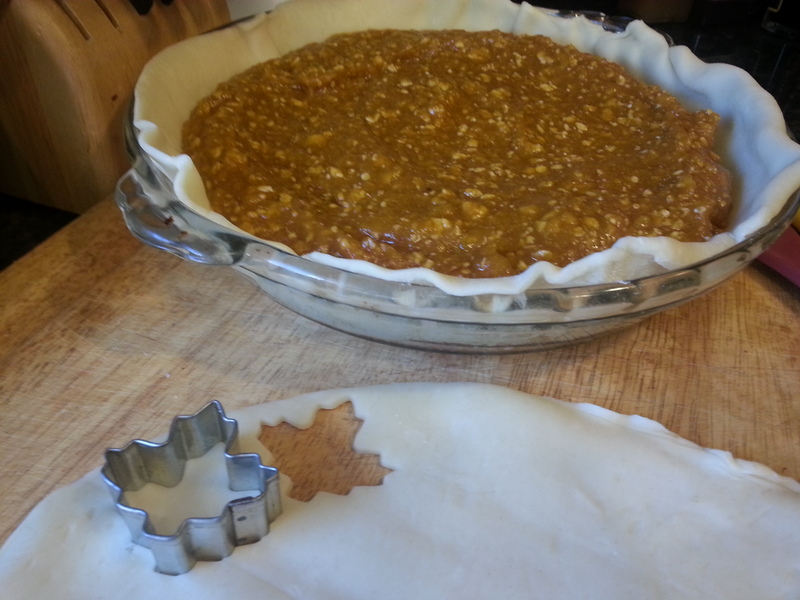 Brush crust lightly with egg wash. Bake pie at 350 for 45 minute to an hour or until center is baked through. If browning occurs early, cover with a crust rim or loose foil. 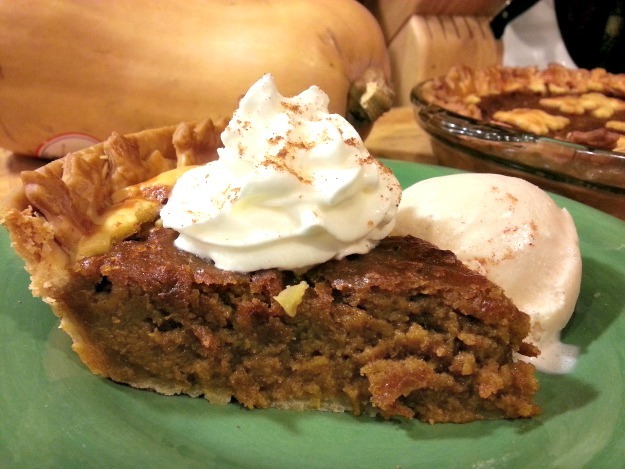 Refrigerate until pie is cool and serve with whipped cream and ice cream if desired. There is no milk or cream in this pie? Thank you! 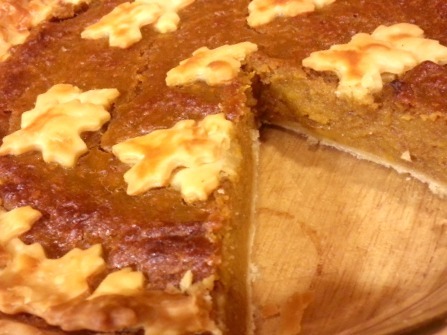 It was one of our top five recipes, two years running!